"We were referred by a family member who had their roof replaced by Wilco. AJ and his entire team did an outstanding job with our..."
We were referred by a family member who had their roof replaced by Wilco. AJ and his entire team did an outstanding job with our roof. They responded to emergency repair requests quickly and had temp tarps added within 48 hours. We had our new roof completed within 3 weeks after the storm and it looks great. The installers came out early and got the entire thing done in one day, including all the cleanup. They did a fantastic job! "Wilco did a fantastic job taking care of the interior water damage in our home after major storm damage in 2016. Almost every..."
Wilco did a fantastic job taking care of the interior water damage in our home after major storm damage in 2016. Almost every room (ceilings and walls) in our home were damaged. AJ came out early on and did a thermal scan of the entire home, taking photos with the scanner, and submitted all the information to the insurance company on our behalf. When repairs were done, each of the crews arriving to do the work were conscientious about covering all our belongings to ensure they would not be damaged in the process. They worked quickly to complete everything, and AJ called the day afterward to verify everything was done and that we were happy. All of the drywall repair/replacement looks beautiful now! During the process, we also had them install new LED recessed lighting in our kitchen, along with some pendant lights. It looks so beautiful now and I can't stop staring each time I go to the kitchen! "Returned all my calls, there when they said they were coming and finished when they said they would." Returned all my calls, there when they said they were coming and finished when they said they would. "Contractor was courteous and knowledgeable of the product. He took time to answer all questions as well as enlighten me in areas..."
Contractor was courteous and knowledgeable of the product. He took time to answer all questions as well as enlighten me in areas that other may not feel are necessary. Mr. Williams also did follow-up calls prior to starting the job to see if I had any additional questions. OVERALL GREAT SERVICE. AJ Williams is a Texas native with many years of experience in the construction industry. He grew up in Dallas before attending college at Texas A&M and studying Construction Engineering. AJ received specialized experience in the insurance and restoration industries for more than 14 years. After working for 2 years as a sales manager and production manager for a large roofing contractor, AJ decided the time was right to branch off on his own. He stepped out in faith and started his own company, Wilco Contractors. His skill and expertise has allowed Wilco Contractors to succeed so far, and AJ will continue to lead the company’s growth into the future. Outside of work, AJ and his wife enjoy spending time with their 3 wonderful sons. If you need a new roof, or any home repair, WILCO is the answer. I needed a new roof and wanted a color that no one else had in my neighborhood. Wilco suggested and helped me select just what I wanted. I also had them install new gutters. My new roof looks great as well as the new gutters. They also assisted me every step of the way through my insurance claim. I couldn't have done it with out them. The professionalism from the whole Team at Wilco Contractors was Remarkable! Excellent service from start to finish! Thank you Rodney and AJ for assisting me on picking out the color for the shingles for my roof. I have had several compliments from my neighbors on what a nice looking roof I now have. 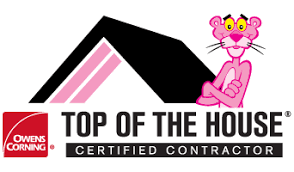 A BIG THANK YOU for making the process of replacing my roof go smoothly and without stress!!! I received a call from Kendric a week after the Hail storm. I was impressed that he was proactive and on top of things from the start. Kendric did an outstanding job of walking me thru the process, scheduling, and closeout. He was very flexible and responded to my inquiries and questions within a timely manner. I feel the install crew did a great job. Overall I am very happy with my roof replacement. Great Customer Service! Rodney was a pleasure to work with and Wilco did an outstanding job. I would definitly use Wilco Contractors again. I am very Happy with my Roof and Thankful for the Help with my Insurance Company. I am so thankful for Ginna Day and Wilco Contractors. My Insurance company declined my roof twice! They worked hard to help me out and now I have a brand new roof! I will be referring all my friends and family to Wilco. My experience with Wilco was great! The whole process was explained thoroughly and the install went exactly as planned. AJ was very professional and promptly addressed any concerns we had. The crew worked diligently and cleaned up after themselves. I would strongly recommend Wilco Contractors to anyone needing a new roof or any of the services they provide. We are very pleased with the look and workmanship of our new roof. Everyone at WILCO was very nice, professional and quick to respond to our Needs! We appreciate you all! Wilco Contractors came to my rescue! They were referred to me by my neighbor. My roof leaked every time it rained and my insurance company refused to admit there was damage to my roof. AJ came out to inspect my roof and told me he could help me out. Wilco was able to get my insurance company to put a new roof on my house. My new roof looks great and it no longer leaks. Thank you Wilco for your services! Recently had roof repaired by Wilco. Called them at 1:30pm, and roof was repaired by 5pm. AJ was very prompt in returning my call, and customer experience was excellent. 5 stars for Wilco Contractors. 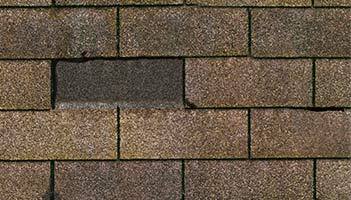 After years in the sun, you roof can start to fade and deteriorate. Wilco Contractors provided a full inspection to determine the scope of the project on this Sachse, TX home, then worked with the customer to select a new color of shingle for their roof replacement. The homeowner is happy knowing their new roof protects their home and they have a products the can trust with an excellent warranty. The roof on this home in Rowlett was starting to fade and deteriorate after years in the sun. Wilco Contractors provided a full inspection to determine the scope of the project, then worked with the customer to select a new color of shingle for their roof replacement. The homeowner is happy knowing their new roof protects their home as well as looks great. After years in the sun, you roof can start to fade and deteriorate. Wilco Contractors provided a full inspection to determine the scope of the project, then worked with the customer to select a new color of shingle for their roof replacement. The homeowner is happy knowing their new roof protects their home and they have a products the can trust with an excellent warranty. After years in the sun, your roof can start to fade and deteriorate. Wilco Contractors provided a full inspection to determine the scope of the project, then worked with the customer to select a new color of shingle for their roof replacement. The homeowner is happy knowing their new roof protects their home and they have products the can trust with an excellent warranty. This Forney, TX Homeowner was so thankful that WILCO was able to come in and quickly replace their damaged roof. This Roof was damaged in a Large Storm. Wilco Contractors promptly responded to the emergent needs of the home owner and provided a full inspection to determine the scope of the project, then worked with the customer to select a new color of shingle for their roof replacement. The homeowner is happy knowing their new roof protects their home and they have a products the can trust with an excellent warranty. This Mesquite, TX Home was damaged severely by Hail. The homeowner was thankful for the Integrity and Excellence that she found in WILCO Contractors. Insulating your house helps to maintain a comfortable living environment by maintaining inside temperatures and reducing energy costs. The main purpose of insulation is to create a barrier around the building, that is, over the roof, on the wall, and beneath the floor, which reduces the amount of heat entering the home on a warm day, and reducing the amount of heat loss on a cold day. This Homeowner is Very Satisfied with the Insulation work done. This Homeowner wanted a trustworthy Contractor and was happy to find Wilco. We replaced her hail Damaged Roof. She is very satisfied. After years in the sun, your roof can start to fade and deteriorate. Wilco Contractors provided a full inspection to determine the scope of the project, then worked with the customer to select a new color of shingle for their roof replacement. The homeowner is happy knowing their new roof protects their home and they have a product they can trust with an excellent warranty. If you need a new roof, or any home repair, WILCO is the answer. The professionalism from the whole Team at Wilco Contractors was Remarkable! Excellent service from start to finish!